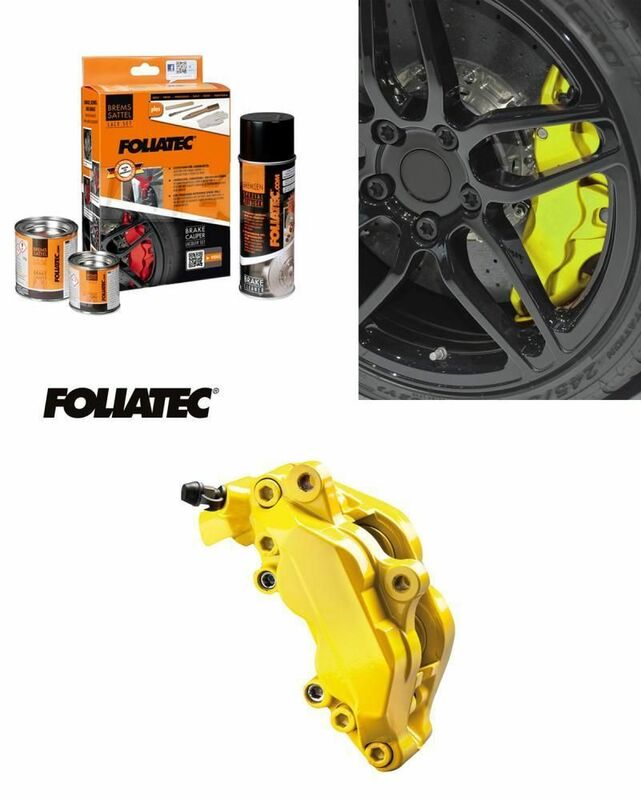 Foliatec Brake Caliper Lacquer gives your vehicle a dynamic sporty look. Individualise your vehicle and stand out from the rest! Paint your Brake calipers the same colour as your vehicle or set highlights by using contrasting colours. There are so many options available! Doesn't need to just be calipers, you can also apply to hubs, rims, brake drums etc. It permanently seals and preserves the surface. Chemical, corrosion and oil resistant.